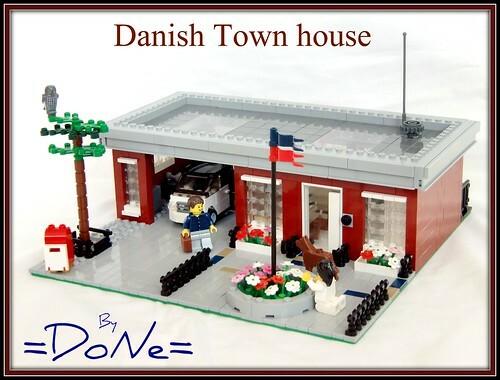 Brick Town Talk: Off In Denmark - LEGO Town, Architecture, Building Tips, Inspiration Ideas, and more! Denmark - (BTT) Americans would think it was an old fire station, but this is actually a quaint little town house somewhere in in Denmark. With a garage just big enough for a smart car and a husband still walking apprehensively towards his own dog after three years of ownership, who wouldn't want to live here?